40-in. cord with 12-ft. extension cable. Handsfree professional cardioid mic offers superior frequency response. 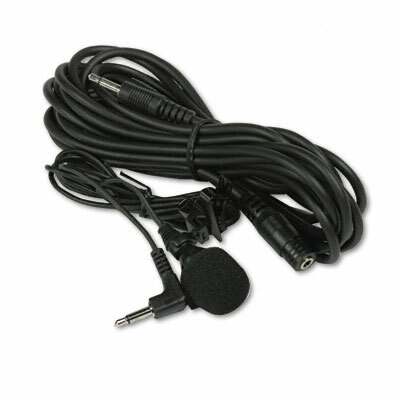 Forty-foot cord with twelve-foot extension for wireless or condenser inputs lets you present without being tied to one spot. Discreet mic is ideal for interviews and is a must for dynamic speakers and presenters.